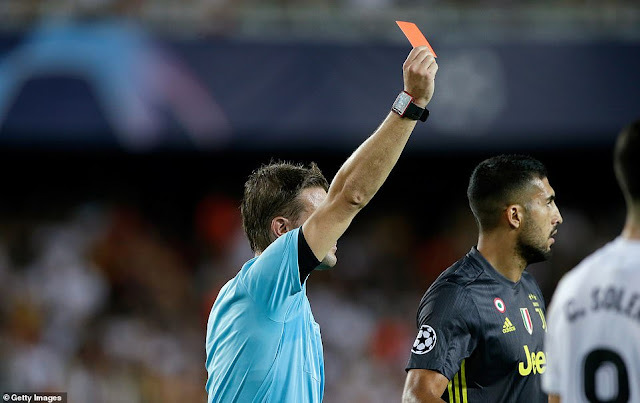 Champions League matches against Manchester United after receiving red card on his debut in the competition for Juventus. 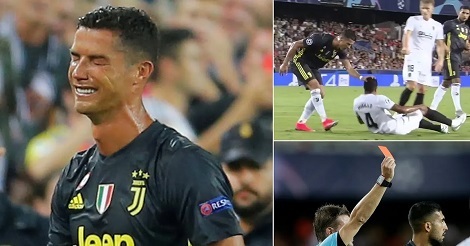 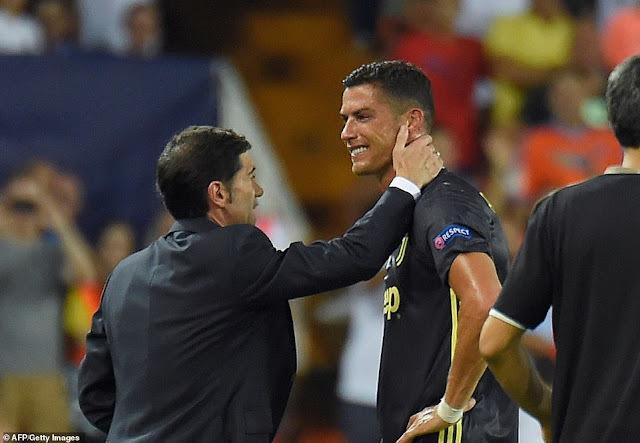 The 33-year-old was dismissed during the first half of Wednesday night’s Group H opener in Valencia following an off-the-ball clash with Jeison Murillo and had to be led away from the field in tears. 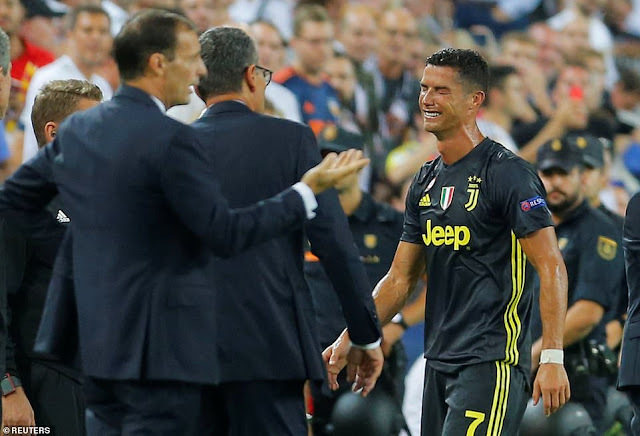 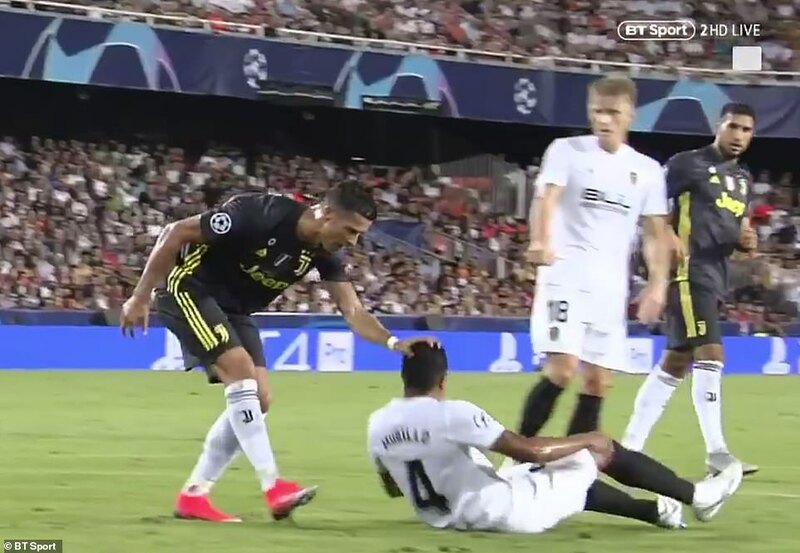 Ronaldo will receive an automatic one-match ban - which cannot be appealed - but could face an expected two-match ban for violent conduct, which would rule him out of the home game against Young Boys and the trip to Old Trafford on October 23. 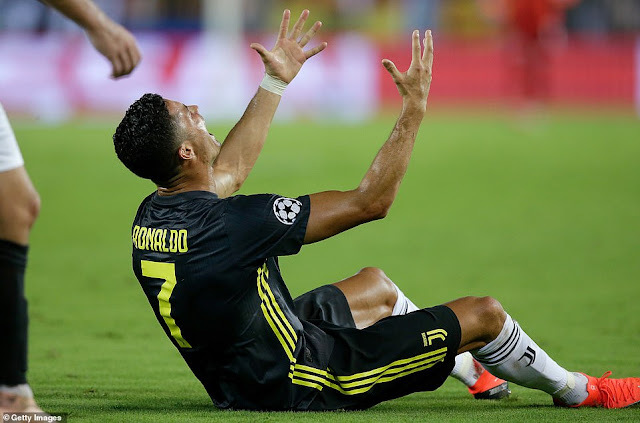 A three-game suspension - UEFA will determine the length of the ban - would also keep him out of the return against United in Turin on November 7.